Lucky Luke Vol. 43: The Bluefeet Are Coming! Luke gets embroiled in a good old-fashioned Indian siege. Passing through the quiet little town of Rattlesnake, Luke exposes a Mexican gambler as a cheat and runs him out of town. 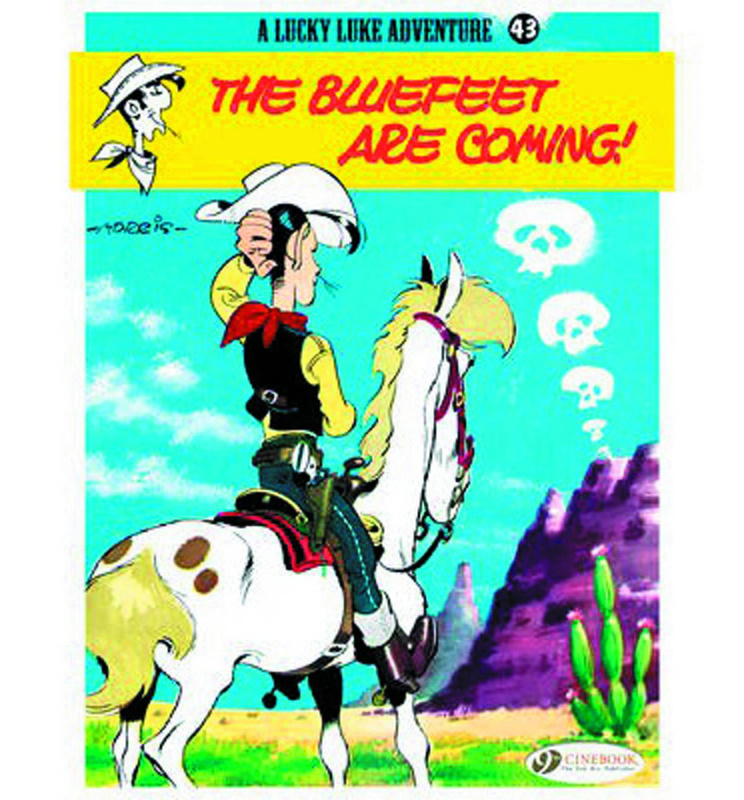 Unfortunately, the hustler ends up in the hands of the Bluefeet Indians and manages to convince them to attack Rattlesnake. A siege begins, during which Luke will have to use all his guile and courage to keep the Bluefeet at bay until the Cavalry arrives.